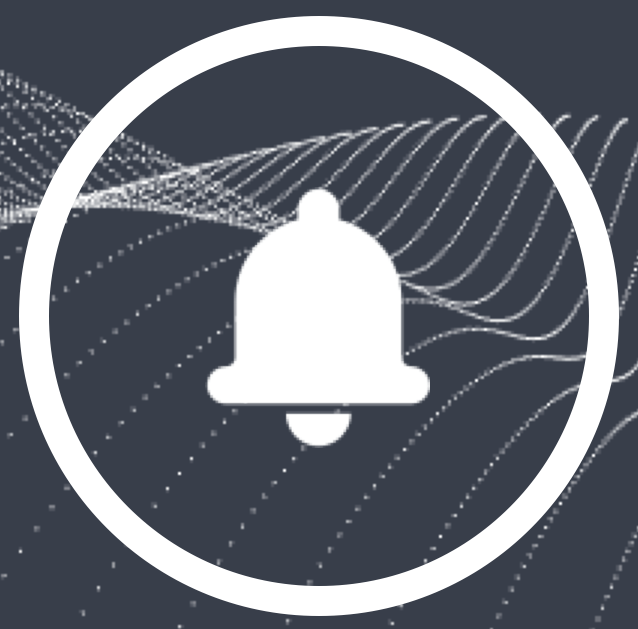 Get free crypto alerts with our Discord bot. We support price alerts, exchange listing alerts, BTC + ETH transaction monitoring, and more. Sign up for a free account. You only need a valid email address — we ask for no personal information. 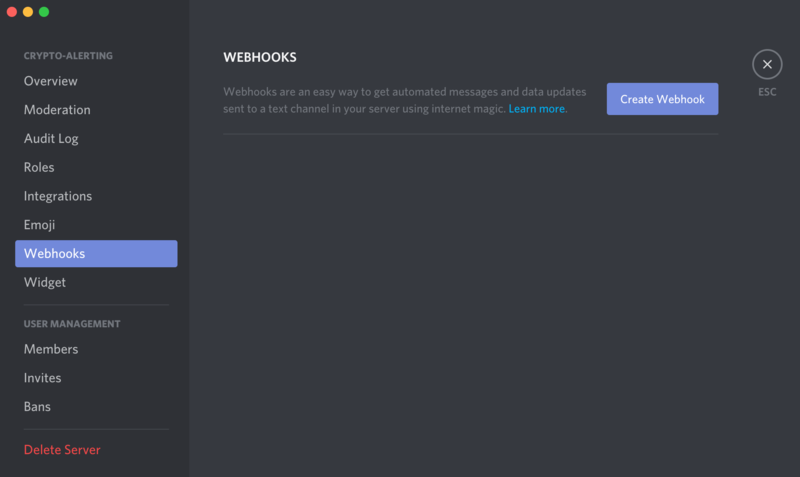 Open up Discord and locate your Server Settings Webhook tab. On the desktop app you can simply right-click on your Discord server icon and find the option under Server Settings. Once this tab is open, click "Create Webhook". 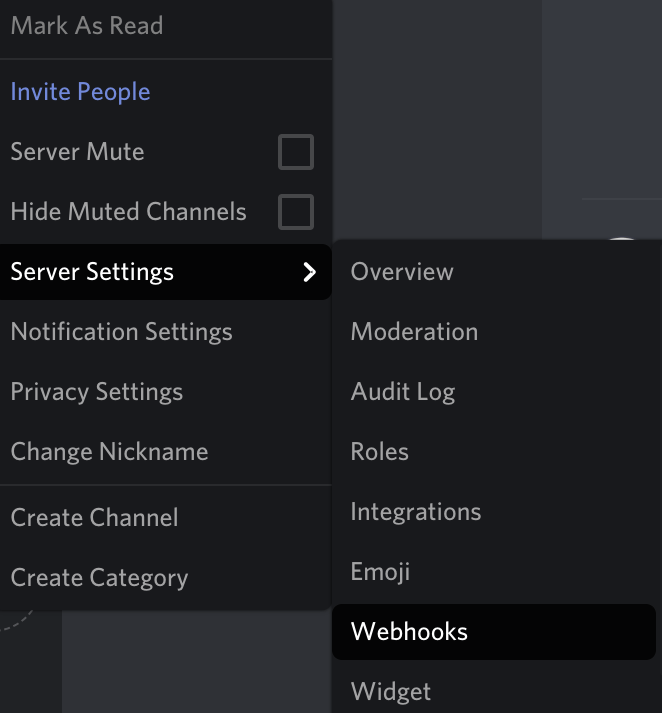 Note: If you're not the owner/administrator of the Discord server, you'll need to be granted Webhook privileges in the Roles tab. 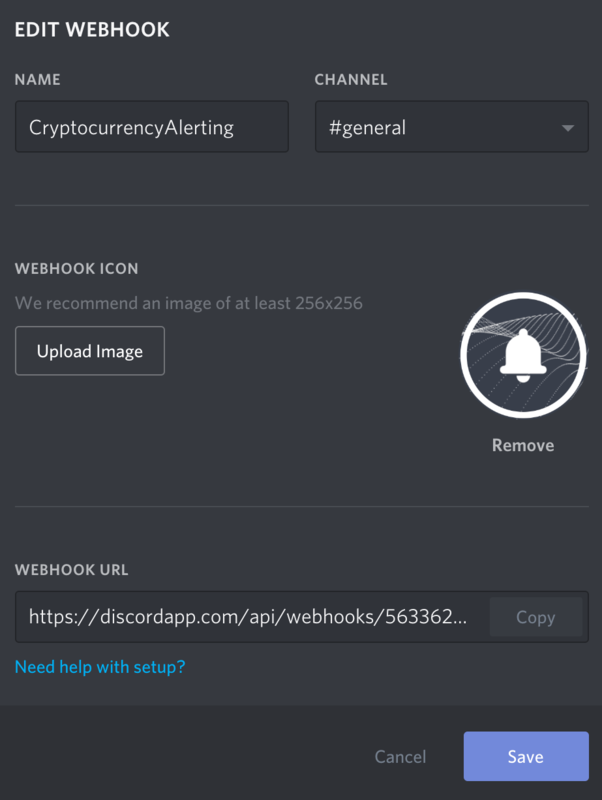 Give your Discord Bot a name (such as "Crypto Alerting Bot") and pick a channel for it to broadcast alerts. You can also upload an avatar. If you'd like to use our logo, you can download it here. Once this is filled out, copy the Webhook URL and paste it into our Discord Integration window. 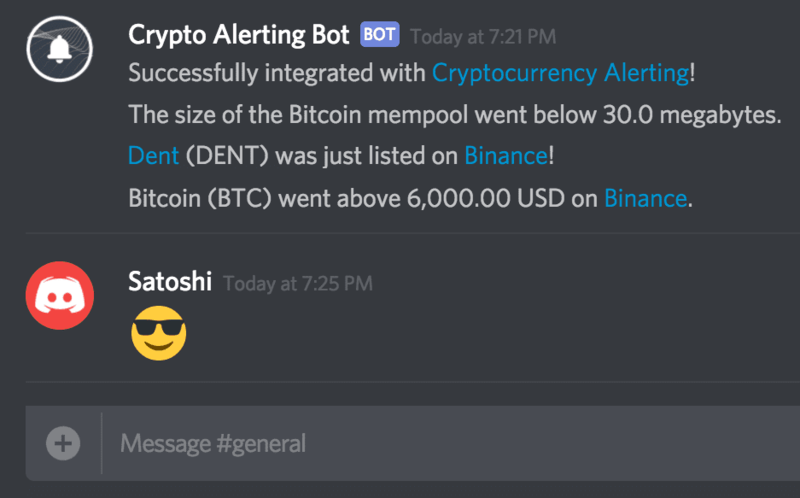 Now that your Discord bot has been integrated, you can begin creating custom crypto alerts delivered via Discord directly to you or your group. If you need help getting started, try creating a Bitcoin price alert, subscribing to Coinbase exchange listings, or monitor an Ethereum or Bitcoin wallet.